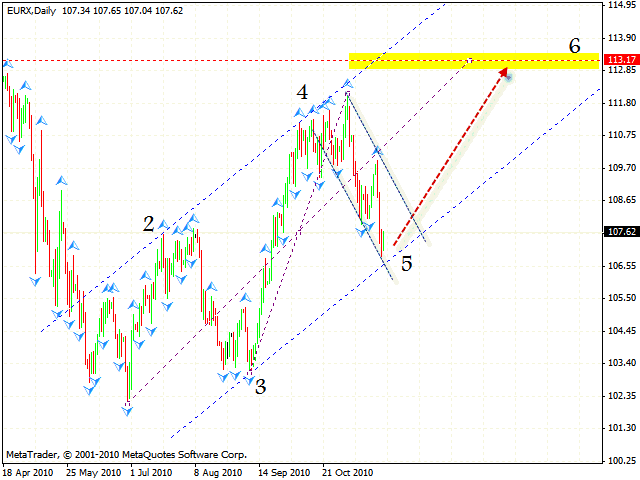 HomeFor ClientsAnalyticsForex Analysis & ForecastsForex Technical analysis and forecastsForex Technical Analysis 2010/11/25. 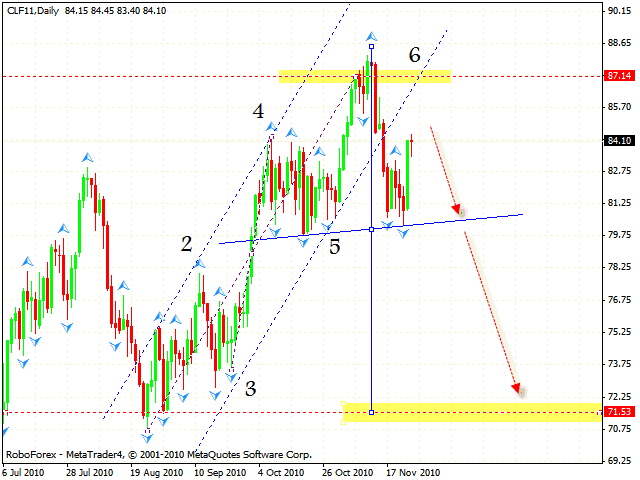 Euro Index, EUR/USD, GBP/USD, USD/CAD Light Sweet Crude Oil Forecast FX. Forex Technical Analysis 2010/11/25. Euro Index, EUR/USD, GBP/USD, USD/CAD Light Sweet Crude Oil Forecast FX. Euro Index has been corrected to the 5th point of reference of the rising pattern where we can expect the Index to continue moving upwards. The target of the growth is the area of 113.17. Taking into account euro index analysis, one should consider buying Euro only after the Index is out of the descending channel. 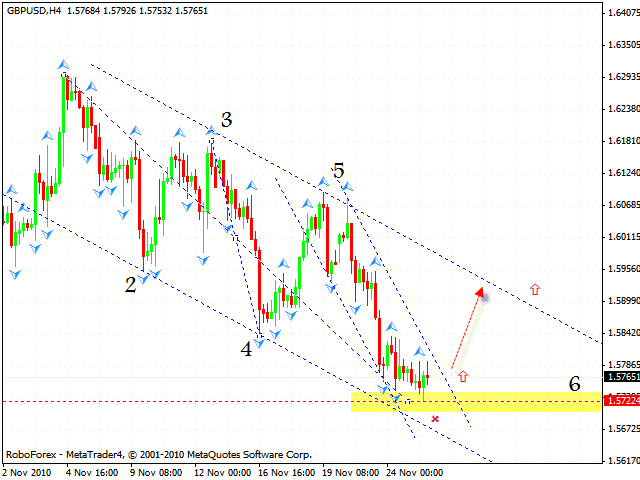 In case the price continues to fall and leaves the channel, one is recommended to close long positions on Euro. According to eurusd analysis the EUR/USD currency pair is testing the rising trend’s line, and there is an expansion pattern forming with the target in the area of 1.4900. We should expect the pair to hit the trend line and to develop a rising movement. One should consider selling the pair after the price is out of the descending channel. The stop must be hidden below local minimum. 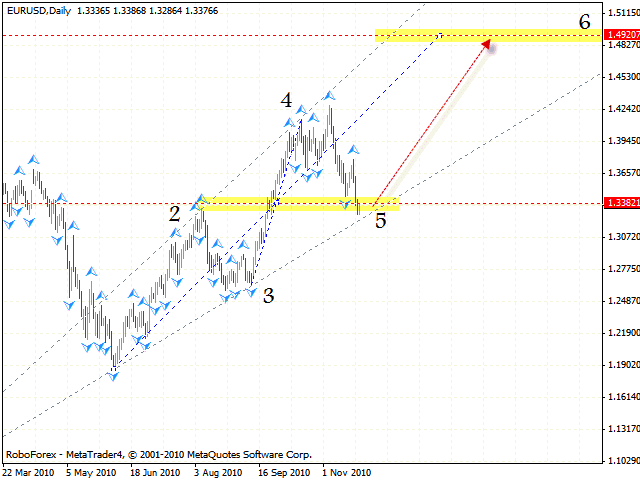 As it seen from gbpusd forecast pound has reached the target in the area of 1.5720. At the moment one should consider buying the pair after the price leaves the descending channel. The stop must be hidden behind local minimum. The closest target will be the test of the channel’s upper line, which is, in this case, a resistance one. In case of the USD/CAD currency pair currently we have the “triangle” pattern forming, the target of the fall is its lower border. 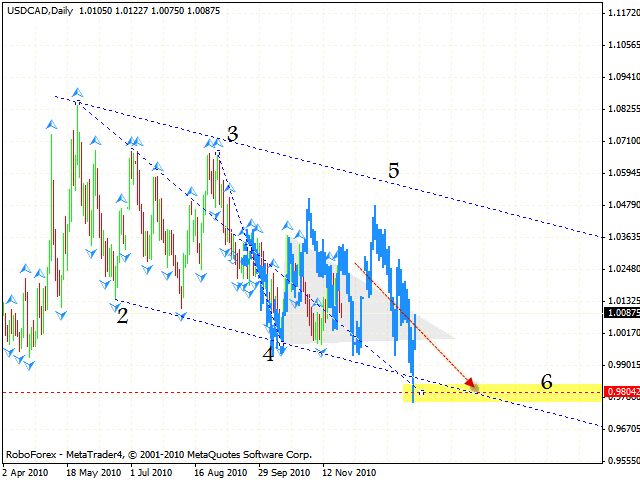 At the daily chart we can see the formation of the descending pattern with the target in the area of 0.9804. One shouldn’t exclude the pair’s growth into the area of the 5th point of reference. 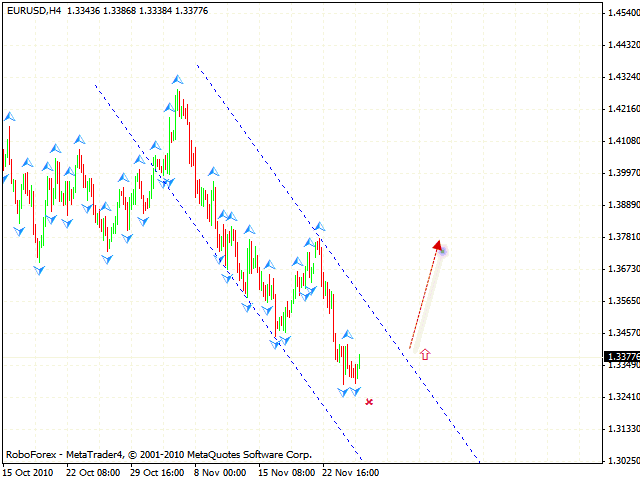 According to usd cad analysis, we can consider selling the pair at shorter periods of time even now. As we can see by online forex analysis, the rising pattern with the target in the area of 87.14 has been completed. The price has left the rising channel, thus indicating an area for sales. We also have a classical scenario, when the price goes back to the level where the channel has been broken, and there is a potential for “head & shoulders” reversal pattern to be formed with the target in the area of 71.50. One can try to sell even now with the stop above 85.70, but don’t increase the amount of short positions until the neckline is broken.